Kapsimalis Architects have design a new modern summer house in Santorini, Greece, that sits on a slightly sloped site and has views of the sea. 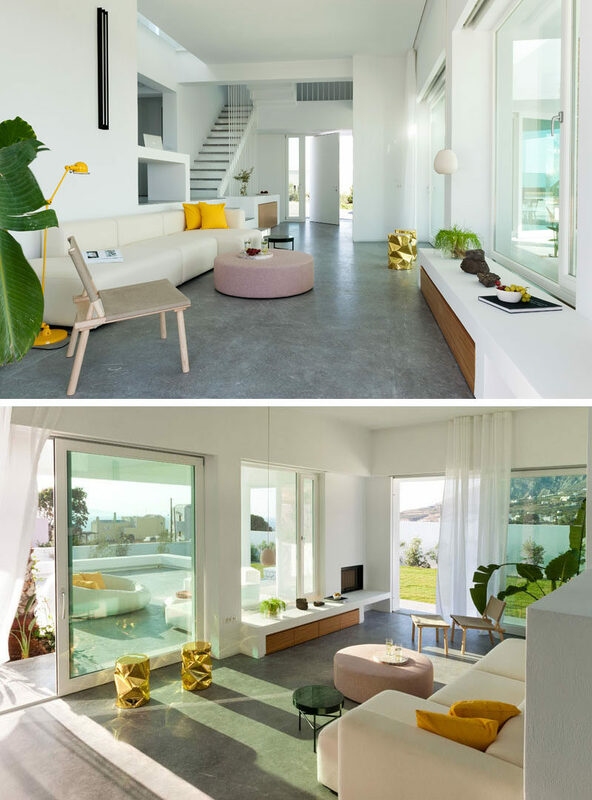 Stepping inside, the interior with white plaster walls is just as bright as the exterior. The living room has pops of color and touches of wood, while grey cement plaster has been used for the floor. The living room opens up to a partially covered outdoor lounge with a tall palm tree. 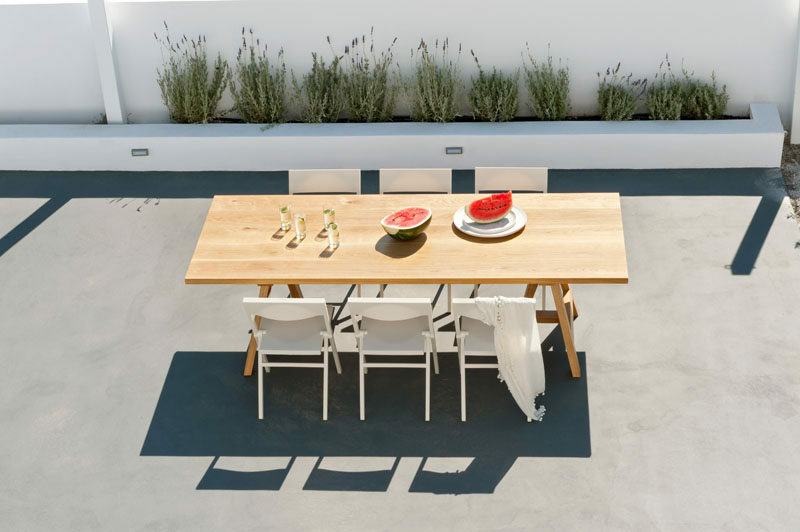 There’s other outdoor spaces like an alfresco dining area with a large wood table and white chairs, and a garden. 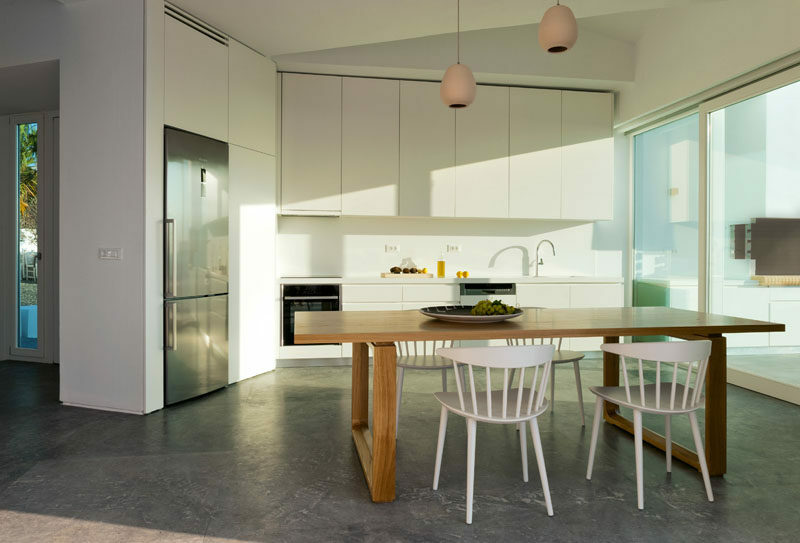 Back inside, there’s the kitchen with white cabinets that blend into the walls, while another wood dining table with white chairs provides a place to eat indoors. Just off the kitchen is the front door and a built-in wood sideboard. A few small steps lead to a landing with a desk as well as access to a bedroom and a bathroom. Gortynis grey marble has been used for flooring in this area and on the stair treads. 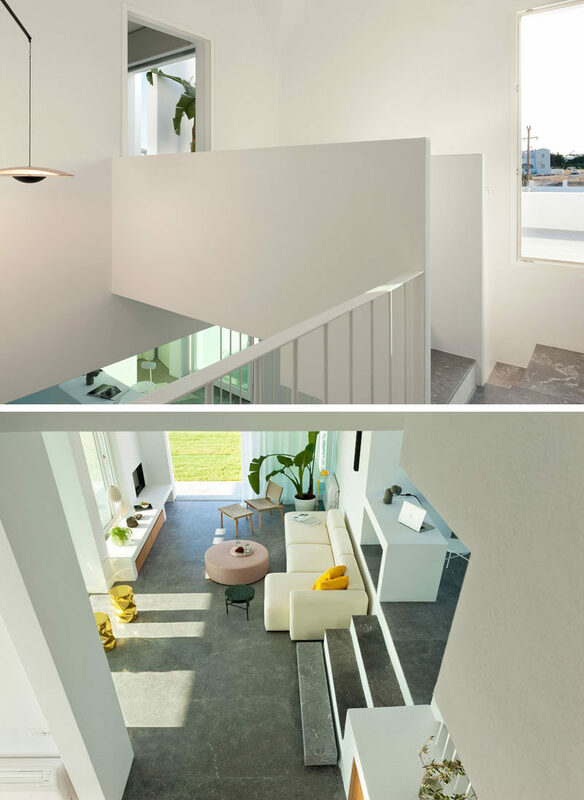 Half way up the stairs, there’s a small landing where you can view the living room from above, and at the top of the stairs there’s a small bridge that provides access to the bedroom. 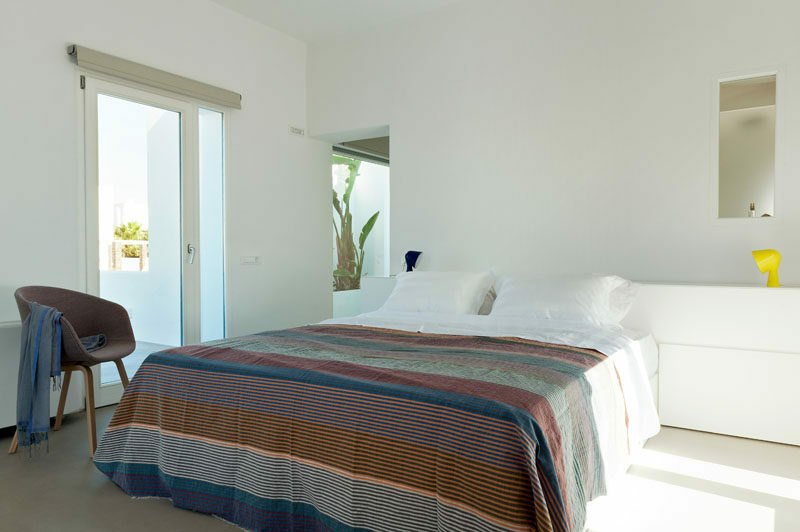 Upstairs, the master bedroom is bright and airy, and has access to its own private outdoor space. 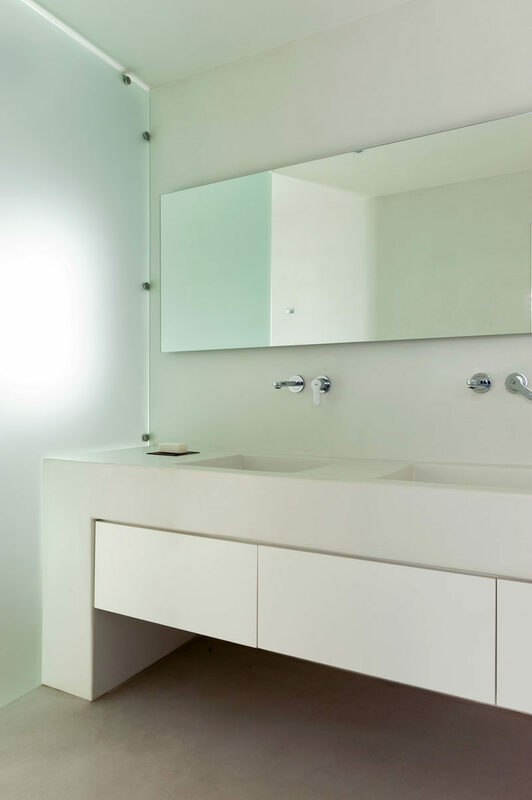 In the master bathroom, a large built-in vanity with storage provides plenty of space for dual sinks, while frosted glass acts as a shower screen.